The Pakistani community in Wellington and Auckland celebrated Pakistan Independence Day on Auckland 14, 2012. Hoisting the flag of his country at the High Commission premises in Khandallah, Wellington, Pakistan High Commissioner Syed Ibne Abbas outlined the achievements of his country and the measures taken by the Pakistan Government to forge unity, strengthen democratic institutions and ameliorate the lives of the ordinary people. “I appeal to all people of Pakistani origin to serve their adopted country with dedication, while maintaining links with their motherland,” he said. In a message to the Nation, Raja Pervez Ashraf, who took oath of office as Prime Minister of Pakistan on June 22, 2012, said that his Government was committed to providing equal status and opportunities to all citizens. “We are confronted with various challenges such as energy crisis, law and order problem, economic difficulties, terrorism and extremism, which have slowed down the pace of socio-economic development. Despite all the difficulties, Pakistan is a vibrant polity, where the judiciary is independent, Parliament is functioning, media is vibrant and the civil society is active,” he said. 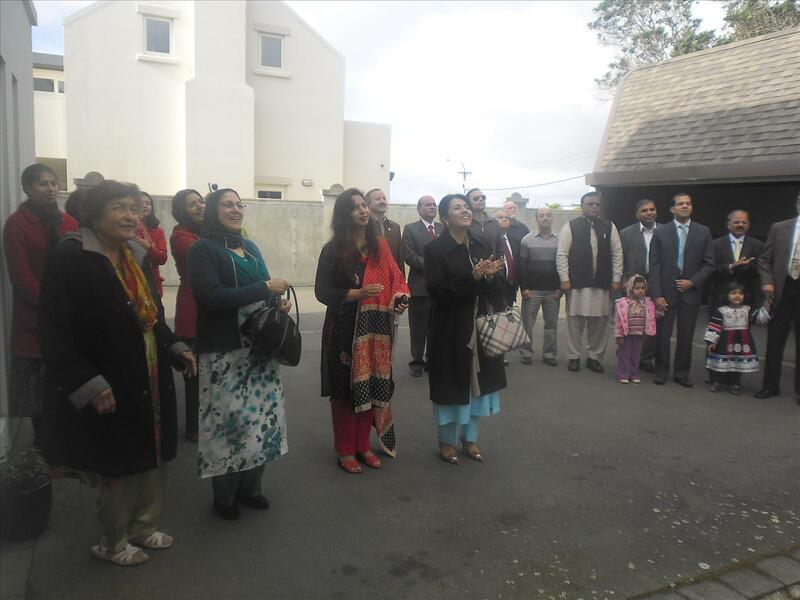 The Pakistan Association of New Zealand held its celebrations on August 14 at Mt War Memorial Hall in Central Auckland. National MP Kanwaljit Bakshi was the Chief Guest. He said that the Pakistan Government has implemented a number of policies and programmes to develop the country’s economy. He appealed to all the peoples from the Indian Sub-Continent to seek employment in the mining and oil exploration industries being established in rural New Zealand. “The per capita income in these regions is higher,” Mr Bakshi said. Association President Naveed Hameed paid tributes to the leaders of the freedom movement and founders of Pakistan. “Pakistan was one of the foremost nations granted independence from colonial rule, after the World War II and the formation of the United Nations,” he said. Pakistan emerged as an independent country on August 14, 1947, which was the 27th day of the Holy Month of Ramadan, he said. “As Pakistan Kiwis, we are partners in the economic development of New Zealand. We are hard-working and committed people,” Mr Hameed said.